Every week we sit down with one studio resident or visitor for a five minute free-for-all on the topic du-jour. This week we have designer and officially sanctioned agency Instagrammer Kim Fuller on life behind the lens for Creative Tonic. [ct]: How did you become the official instagrammer of Creative Tonic? How did you get that job? [ct]: That’s it? No application process? [k]: It’s my favorite form of social media because it’s the one that I find least annoying. On Instagram, I’m not seeing people’s opinions about political or religious stuff. It’s just an image and it’s quick in the moment stuff, what happening now, rather than, here’s an article with an opinion and different perspectives. [ct]: Do you think people use it in a less purposeful, intentional way? Facebook seems like you’re cultivating an image. Is Instagram different? [k]: I think it’s a little bit more honest because you’re showing something rather than just talking about it or sharing your opinion about it. Even when it comes to the comments and hashtags, it stays focused on the photography. Comments are hidden, you’re not seeing rows and rows of what people are saying. [ct]: So what’s been the biggest difference between Instagramming for Creative Tonic, doing it for a company, versus doing it for yourself? [k]: That’s a good question. My personal account, I don’t do caption at all, or it’s very short like two words, something witty. But for Creative Tonic, it’s about giving context to the picture – what’s going on in the office, sharing with others how we go about our work, what we do. It’s definitely coming from a more professional sense, but giving people a look at the culture in the office. [ct]: How do you feel about showing design, either a finished project or something that’s been done on a computer. Obviously it’s one thing if somebody has their sketchbook out and they’re taking a picture, but what about something that is done on a computer? [k]: A lot of designers and artists I follow do it, especially since Instagram added video. They’ve been doing a lot of animation stuff, and it’s cool, they’re exploring that realm. I think people will use bigger social media platforms because their personal sites don’t get a lot of traffic, so whatever they can do to promote themselves, I totally agree with. I don’t think there’s a problem with doing something digital on the computer or even just making it for Instagram. I also think Instagram is more of an inspirational platform than Twitter or Facebook. Not that work isn’t shared across all platforms, but a lot of the artists or designers are posting a lot more of their progress work rather than just what I see on their blogs or websites or final projects. They show sketches, and what they’re doing on their own time rather than what they do professionally. It’s the same as what we’re doing here. I think it’s interesting to see what they do outside of the office or outside of any type of professional work. [ct]: So, who’s doing Instagram well? Who’s doing Instagram different? Who’s finding new ways to use Instagram? 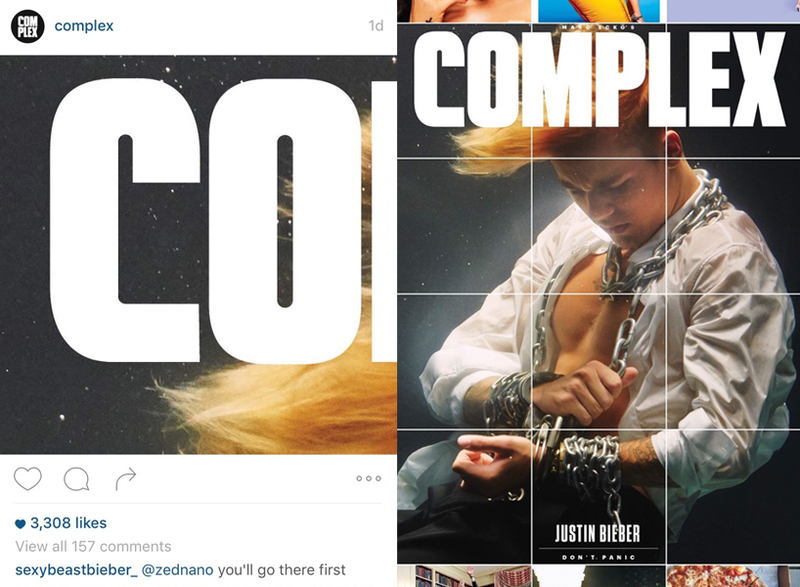 [k]: Complex magazine is one. When they release a cover for a new issue, they are taking a their photo and cropping it into multiple posts, so as you scroll down you are puzzling up these pieces together until they post the final piece. It’s a cool, wait-for-it kind of effect. An account I signed up for personally is LIKEtoKNOW.it. 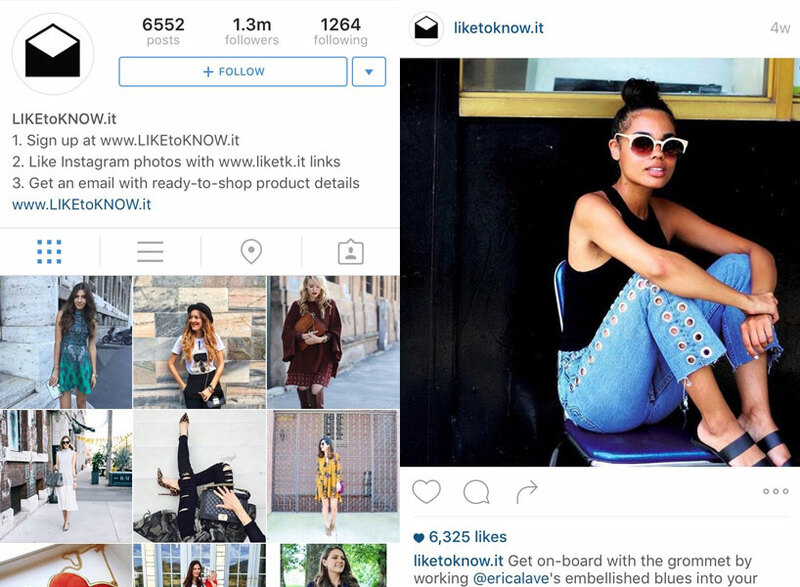 It teams up with fashion bloggers. When the bloggers that are doing work with them post a picture, if I like that photo that they send an email with the product details. So, whatever my fashion blogger is wearing that I like, I’ll get an email sent where I can find those jeans and those shoes and a top. It does all the work that I hate about online shopping. [ct]: We’re getting short on time. Any other shout outs? [k]: Sure. Shout outs. My funny accounts to follow is, @kanyedoingthings. @complex has the best hip hop and pop culture Throwback Thursdays. My favorite dog on Instagram is @woofitswalter. Favorite celebrity accounts, I really like, @nerdist, which is Chris Hardwick. Chrissy Teigen’s (@chrissyteigen) is hilarious. And, of course, @beyonce. [ct]: Closing thoughts. Since you are the boss of Creative Tonic Instagram, what do you hope to achieve? [k]: I hope to capture, all of the fun and the creativity that I wake up and go to work for every day. I want to capture the non-professional side of us. On our site, we talk about strategy, talk about the work we’ve done and why we do it. Instagram is our outlet for exhibiting our culture, our personality, our silliness, our puniness, our dogs. It’s less the what we do than the who we are.